If you know of a teen that seems to go through intense mood changes, then he or she might be displaying symptoms of bipolar disorder. It’s often the case that young people afflicted with bipolar disorder will throw off signals to that effect. They may act unusually goofy, irritable, angry or overly excited on occasion. After that, they might show signs of extreme depression. It’s important at that point to get a diagnosis from a qualified medical professional. Bipolar disorder is a mental illness. It’s often characterized as “manic-depressive illness.” Young people who have bipolar disorder will often go through significant mood swings. On some occasions, they’re overly enthusiastic, have tremendous amounts of energy and don’t need to sleep much. On other occasions, they’re noticeably sad. Keep in mind that bipolar disorder often strikes people in their teenage years. For young people, the illness can cause them to perform poorly in school. Even worse, some teenagers who have bipolar disorder attempt suicide, according to Everyday Health Media, LLC. How is Bipolar Disorder Different in Young People than it is in Adults? When bipolar disorder manifests itself in young people, it’s called an early-onset bipolar disorder. Sadly, that can be a more severe onset of the mental illness than when it starts in older people. Keep in mind also that kids with bipolar disorder may exhibit mood swings more frequently than their older counterparts. • Genes – Bipolar disorder can run in families. Teenagers who have a parent with the disorder are more likely to get it than those who don’t, according to the National Institute of Mental Health (NIMH). • Brain structure and functioning – The NIMH also reports that magnetic resonance imaging (MRI) and positron emission tomography (PET) tests show that people with bipolar disorder have brains that differ from the brains of healthy people. • Anxiety disorders – It’s also possible that anxiety disorders can lead to the development of bipolar disorder, according to the NIMH. 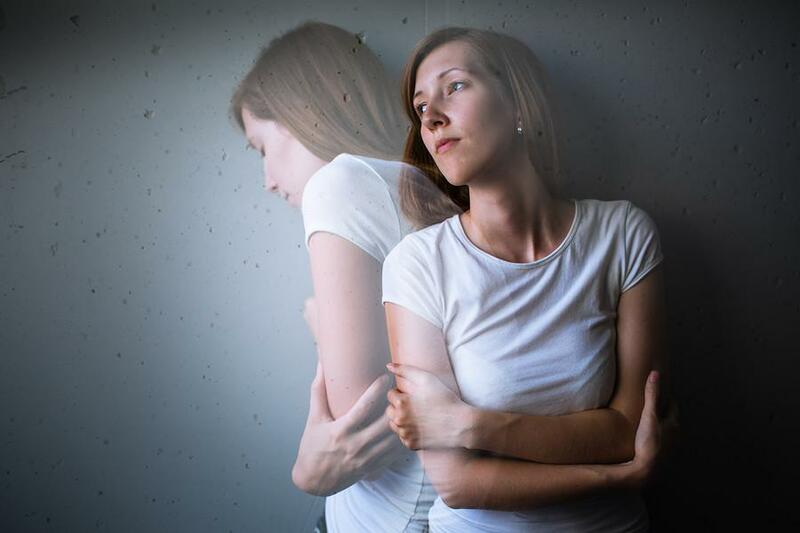 However, it should be noted that the causes of bipolar disorder aren’t always clear. The research, as of this writing, is ongoing. Kids who have bipolar disorder often go through mood swings, called “mood episodes.” They’ll experience manic episodes, depressive (sad) episodes, and a mixture of the two. Teenagers are more likely to experience mixed episodes than older people. Mood episodes often last a week or two. During those episodes, the symptoms go on for most of the day. The mood episodes are also very intense. The observed behavior will fall well outside of the typical mood swings exhibited by young people who don’t have the disorder. • Substance abuse – Sometimes bipolar teens will take drugs or resort to drinking as a coping mechanism. • Attention Deficit/Hyperactivity Disorder (ADHD) – It’s often the case that young people afflicted with bipolar disorder have trouble staying focused. • Anxiety disorders – Sometimes, kids who have bipolar disorder also exhibit one or more types of anxiety disorders. Unfortunately, there is no cure for bipolar disorder. However, there are some treatments that can help control the symptoms. • Medication – Sometimes, medication can help alleviate the symptoms. It should be noted, though, that different teenagers respond to medication in different ways. In short, it’s sometimes necessary to try different types of medication before finding the right one. If you’re the parent or guardian of a teen who’s taking medication for bipolar disorder, be certain to tell your physician about any adverse side effects that you’re noticing. • Therapy – Sometimes, “talk” therapy helps young people deal with the symptoms of bipolar disorder. That’s a type of psychotherapy that helps teenagers manage their schedules. It can also help them develop a better social life as well. How Does Treatment Affect Teenagers? In some cases, a teen’s bipolar disorder will change following a prescribed treatment. When that happens, it’s important that the treatment changes as well. It may be time for a different medication or possible adjustments to the dosage. Sometimes, treatment takes a while. However, sticking with it for the long haul is the recipe for success when it comes to working with kids who have bipolar disorder. Parents can help by keeping a chart of their teen’s moods and sleep patterns. This “daily life chart” or “mood chart” can enable parents to better track the disorder. It will also aide a physician in determining whether or not the prescribed treatment is working. If you think that your teen might have bipolar disorder, it’s important to make an appointment with a doctor to get the proper diagnosis. If it turns out that he or she does have the disorder, then talk about possible treatment options. Bipolar disorder is a mental health illness that not only afflicts adults, but teenagers as well. Even though there’s no cure for it, there is treatment that can help with the symptoms. It’s important that those who are entrusted with the care of kids who have bipolar disorder exercise proper encouragement and patience while working with the teenagers.